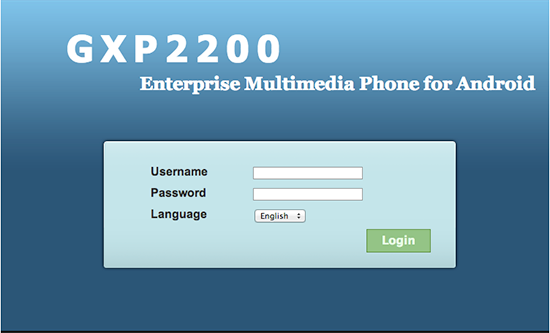 The GXP2200 is Grandstream's high end Android powered multimedia business phone. This device comes with Android 2.3.5 and supports six lines, and comes with a color touch screen as well as an app store. Like other modern Grandstream IP phones this device supports HD voice and comes with an excellent speaker. These instructions are based on Grandstream GXP2200 software version 1.0.1.30; hardware revision 2.2A; Android version 2.3.5. If you are running a different revision some menus and settings may be different. These instructions are also based on using the GXP2200 in its factory default configuration, which obtains a dynamic IP address automatically from your router using DHCP. 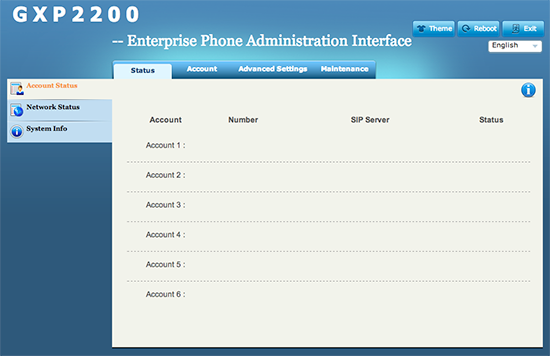 For information on configuring your GXP2200 with a static IP address please refer to the GXP2200 user manual. 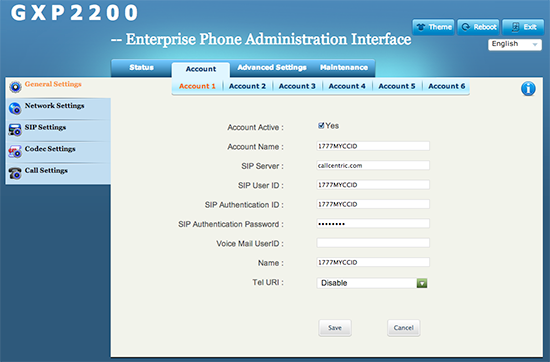 The GXP2200 is fully featured and allows you to edit your configuration and add/remove accounts from the phone itself, however for the purpose of this guide we used the web interface to add an account. We recommend that you read each step through in its entirety before making any changes to your phones configuration. Connect your GXP2200 to your router using the included Ethernet cable, be sure to plug it in to the LAN port of the phone. Once that's completed, plug the AC adapter to your phone then the other end to an available power outlet. Once you have powered up your device plus wait 60 seconds for GXP2200 to fully boot up. On the LCD Screen of the phone there should be an empty window that you add accounts to, you will see an IP address at the top of this window in a format similar to 192.168.1.10, note that the numbers in the IP address may actually be different depending on your network. SIP Authenticate ID: This is either the default extension 1777MYCCID OR 1777MYCCIDEXT, where 1777MYCCID is the 1777 number assigned to you by Callcentric and EXT is the three digit extension you are trying to register this UA to. SIP Authenticate Password: Enter your extension SIP Password here. Your extension SIP password is the password you created for the extension you are trying to use. You may edit the SIP password you wish to use in by logging into your My Callcentric account and clicking on the Extension menu link and then modifying the appropriate extension. 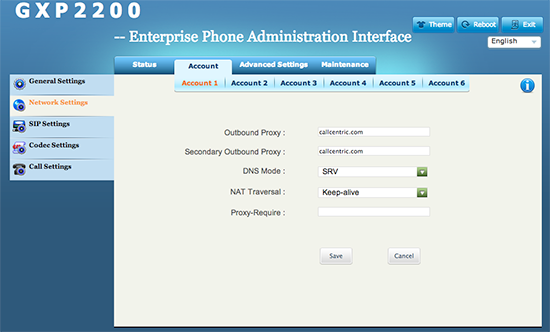 To test inbound calls from Callcentric to your GXP2200 installation, follow the directions listed in this FAQ.